The library is teaming up with one of our fabulous local resources to offer a new type of library session – with a new day and a new venue! Every Tuesday morning we will be offering themed sling and carrier information sessions and classes. Got a stretchy wrap? Book in to ‘Getting the most from your stretchy wrap’ Want to back carry? Check out the ‘Keep Calm and Back Carry’ class. Ring sling masterclass? No problem. Are you pregnant? Come to ‘Carrying Your Newborn’. Each week will have a different focus so you can choose the session to suit you. Each class will last 90 minutes, cost £5 per family and be open to a maximum of eight families (some will have fewer places for safety reasons) You can prebook to confirm your place or come along on the day. 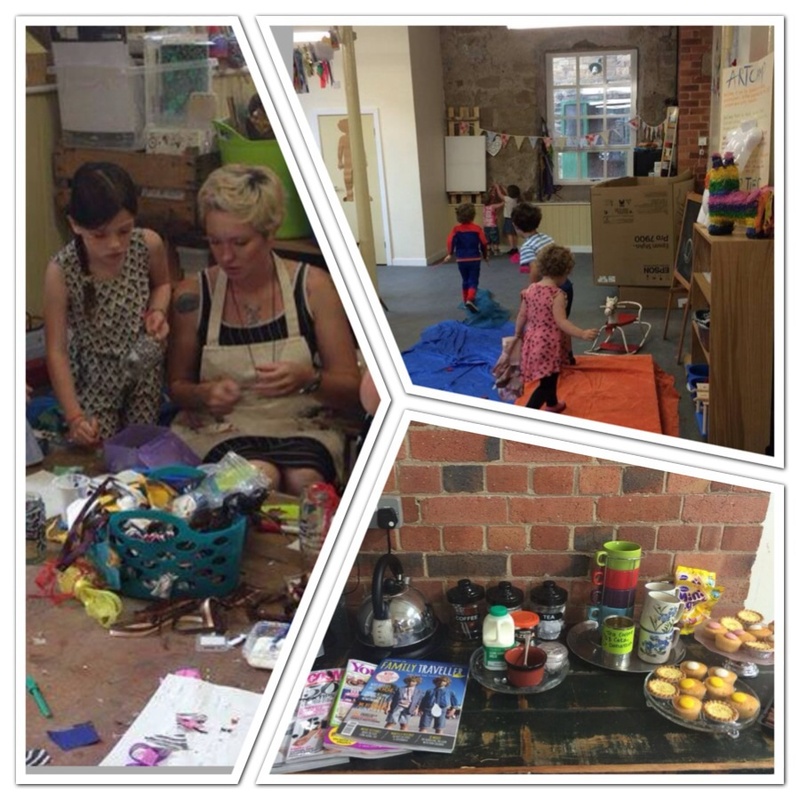 Or new venue is Fingertips Art Studio, which is a children’s art space in the newly revamped Sunnybank Mills complex in Farsley. The studio is run by the fabulous Steph Callaghan and is a free flowing creative play environment for children of all ages. As an OFSTED registered early years practitioner, Steph can engage and entertain toddlers and older children and give them an exciting, messy time whilst you concentrate on babies and carriers – or cups of tea and cake in the cafe area! The studio is all in one room so your child does not need to be away from you, but you can have a little space to learn and enjoy the session. Joining in with the art space is just £3 per child for the 90 minute sling session. This amount is payable to Fingertips studio. The cafe area of the studio sells hot drinks, snacks and cakes at between £1-£1.50 so it could just be a great excuse for a sit down. The first class will run on July 29th 2014 from 10.15am- 11.45am. Classes can also be block-booked if you fancy making it a regular event. 5th August – Keep Calm and Back Carry! For the first four sessions, I am offering half price carrier rental with each pre-booking – just call 0113 2100855 or email wyslinglibrary@outlook.com to book in! ‘But she likes to walk now’ – how carrying works past first shoes and stamping feet!